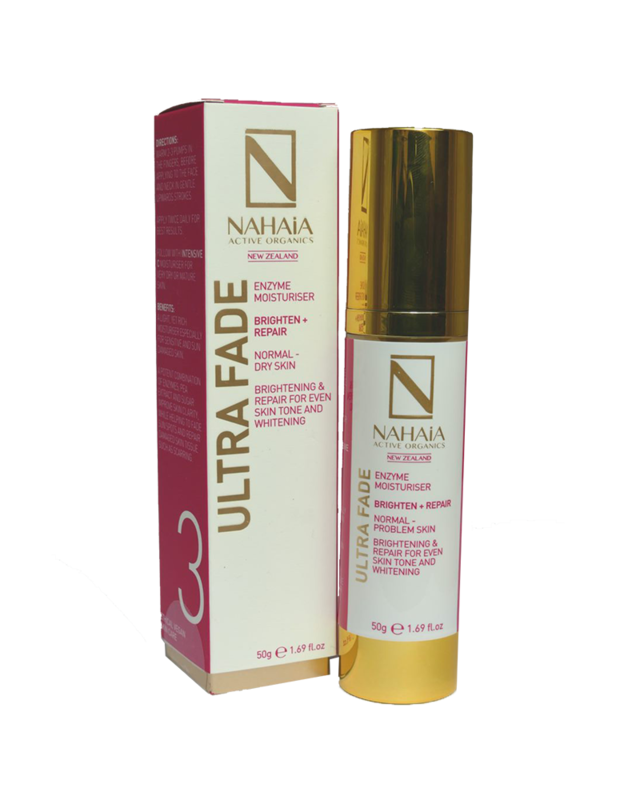 Nahaia Ultra Fade is a light, yet rich moisturiser especially formulated for sensitive and sun damaged skin. 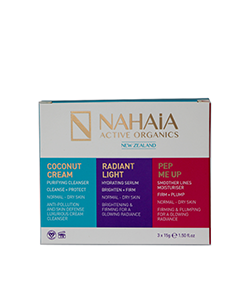 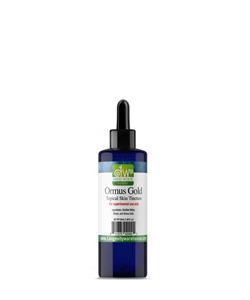 Nahaia Ultra Fade has a potent combination of enzymes, pea extract and sugar to improve skin clarity, while helping to fade sun spots and repair damaged skin tissue such as scarring. 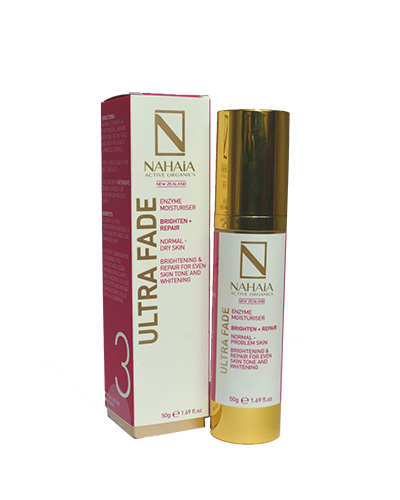 Warm 2-3 pumps of Nahaia Ultra Fade in the fingers before applying to the face and neck in gentle upward strokes. 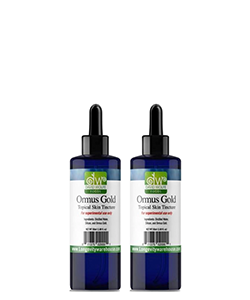 For best results apply twice and follow up with Nahaia Intensive C moisturiser for very dry or mature skin.